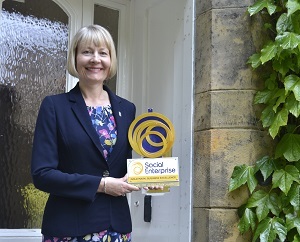 Find out more about the social enterprise elite, who demonstrate social enterprise excellence. It is not just about social impact, it’s about measuring what makes a great social enterprise excellent. 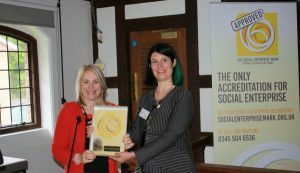 The Gold Mark was launched at the House of Commons in 2014, where the inaugural recipients – Integrated Care 24 – were presented with the first Social Enterprise Gold Marks by former MP Hazel Blears. 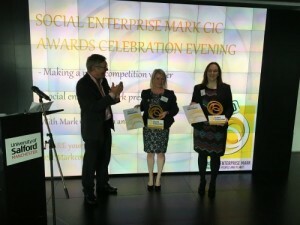 Find out more about these ‘gold standard’ social enterprises below. IC24 is a social enterprise committed to providing a variety of health and care services to around 6 million patients across a large geographical area. 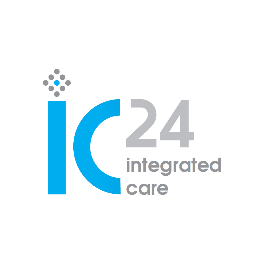 IC24 is passionate about making a difference to their patients, people and partners. 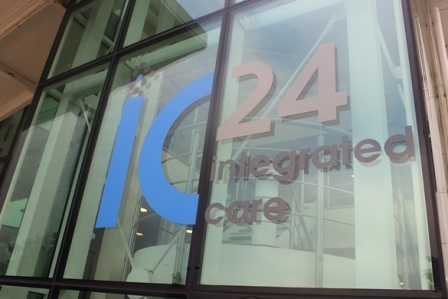 “Integrated Care 24 particularly excelled in outstanding social enterprise creativity by developing new product innovations. Profits are used to create social impact through the use of technology for a better patient experience and reduced demands on other services. Plymouth College of Art is a specialist independent Higher Education Institution founded in 1856, offering a range of Undergraduate, Postgraduate and Pre-Degree study across Art, Design and Media. 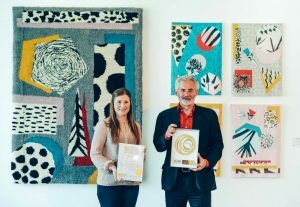 Run by artists for artists, the college is a Founding Associate of Tate Exchange and a UK Advisory Council Member of the Creative Industries Federation, seeking by practical example to influence policy and create innovation in the national agenda for art education. 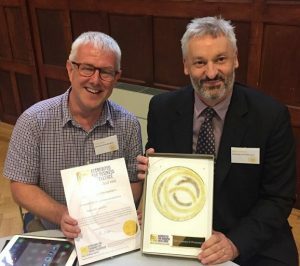 “Creative learning is transformational: in terms of individual lives, the life of our community and its prosperity within the UK’s world-leading creative economy. As one of the few universities to be ranked Gold in the Teaching Excellence Framework (TEF), The University of Northampton know that sharing knowledge, supporting creativity and striving to make a positive difference will change the future. 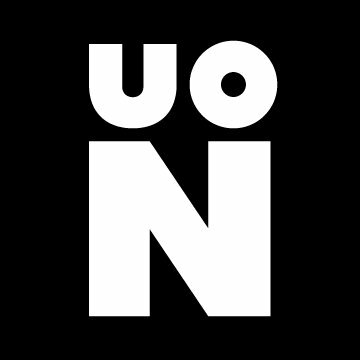 The university wants to break the mould of what Higher Education can be and is motivated by the drive to help people make changes that will transform their lives. “I was impressed by The University of Northampton’s over-riding commitment to social innovation and social impact, which is not a sub-conscious by-product of University of Northampton life, but rather a driving force of being. “Northampton leads the charge when it comes to learning that makes an impact on society. Our whole way of working reflects this; making a difference is in our DNA. Receiving professional recognition for this is great news but the Social Enterprise Gold Mark in particular is testament to the dedication at Northampton, from students and staff alike to ‘do good things’ in the world beyond university. 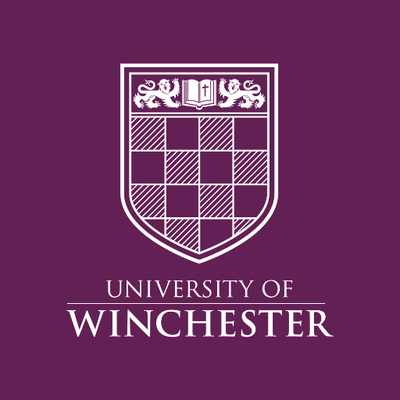 The University of Winchester prides itself on being world-leading in values-driven higher education. Its teaching and research tackles global challenges, students are nurtured to become drivers of economic and social change, and its world-leading research and partnerships focus on making the world a better and more innovative place. It is committed to being a university community where all individuals matter, where well-being is paramount and pastoral care is of the highest quality. A place where people, the planet, and all living things are held in the highest regard. The University campus is one of the best for low-carbon, sustainable management. Active engagement with the Student Hub​ charity – actively engaged in helping co-ordinate volunteering activities for students, principally in helping charities and social enterprises. “As a values-driven university, all we do is closely aligned to the Social Enterprise Gold Mark priorities. From divesting our fossil fuel linked investments, our pioneering work with care leavers and others who are underrepresented in higher education, through to our world-leading research in peace and reconciliation, we are a university driven by a passion to make a difference. “The University’s commitment to social purpose is a defining part of its vision and one that extends well beyond core educational objectives. This is very keenly stated within the corporate strategy and supporting plans, providing both transparency of intent but more importantly demonstrating a deeply considered ambition of fulfilling a wider social mission that places you at the heart of the Winchester community – and beyond. York St John is the oldest higher education institution in York, dating back to 1841. The University works to make a contribution to the wider community, working in partnership with all stakeholders to make a positive impact. “The university is clearly committed to providing a great student experience for learners from all different backgrounds. The management team and staff also share a very strong sense of social purpose.